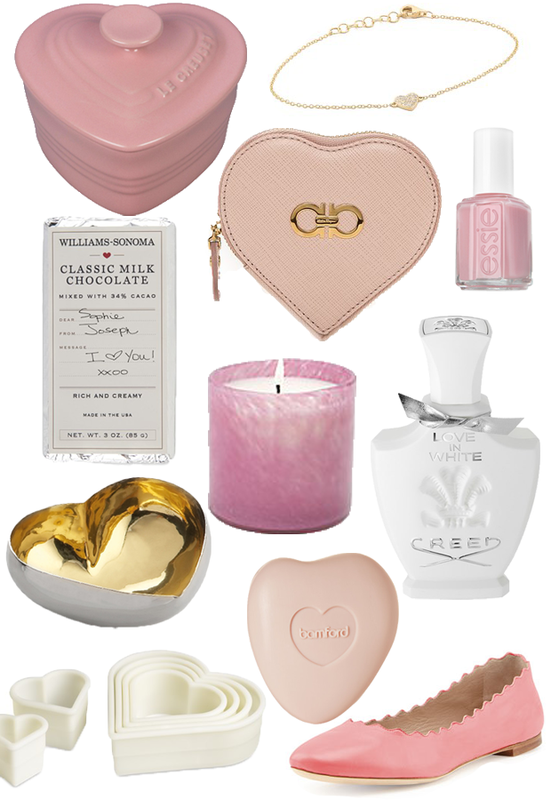 Teeming with pink roses, heavenly chocolates, and glitter dusted cards, Valentine’s Day is one of my favorite holidays. We have a beloved tradition of cooking buttery lobster tails and a rich chocolate dessert every year, and this year will be made even sweeter with the addition of our precious Valentine! Whether you plan on preparing heart-shaped blueberry pancakes for your little loves, are hunting for some hearts-and-arrows filled inspiration to share with your sweetie, or perhaps on the search for thoughtful treasures for your circle of friends, I’ve created this curated group of cupid-approved goodies with something for everyone. Enjoy!